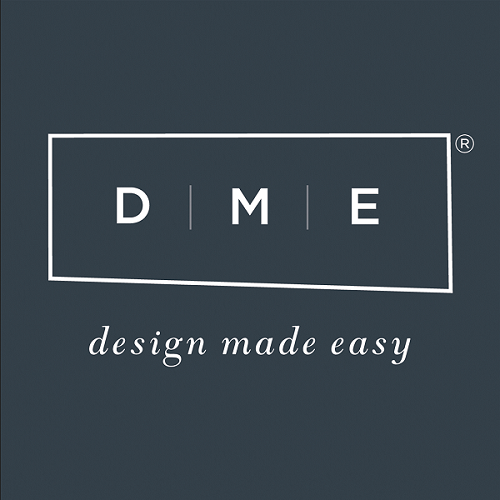 With a focus on simplifying the interior design experience, Design Made Easy (DME) provides a custom app where users manage the entire vacation rental updating process via their iPad. Users can see design ideas in real-time, order materials and have them delivered direct to the rental. Additionally, the app helps vacation rental owners and managers keep track of their projects while searching and ordering items from hand-selected retailers. DME helps vacation property managers and owners cut costs, reduce stress, and save time. Some rental owners have updated the entire home for a fraction of the cost of hiring a professional designer. To explain how DME works, Sarah Honaker, DME’s Chief Executive Officer has some special insights. How much on average does a user save versus hiring an interior decorator? Interior designers generally charge $150 hour, and it may take them several hours to do one room. They also charge for their travel time. Interior designers also charge a mark-up on their products up to 30 percent. If DME does the interior design work, it is $149 per room. We don’t charge any mark-up on products. In addition, if the vacation rental company leases the interior design mobile application, the homeowners receive free access. Is there an average increase of bookings DME users have seen after updating their rentals? On general, we see an increase of rental frequency of 30 percent when a homeowner improves their interior. What’s been most rewarding about the business so far? The most rewarding aspect of the business is to see how DME’s mobile interior design application and services benefit homeowners and vacation rental management companies to improve their bookings. Your team hand-picks inventory items. What’s the criteria and how often are these updated? DME bases the inventory on the vacation rental management company’s region, as well as price points, consumer ratings, shipping times and costs. We look for good consumer ratings 3.5 to 5 stars, free shipping costs, and quick shipping in two to seven days. Contact Design Made Easy to get started. Design Made Easy creates a custom iPad app with your company logo and profile. The app then provides a customized inventory based on profile and needs. Once complete, DME sends a special code, so property managers can share with their homeowners and employees, and begin the vacation rental updating process. From there, users pick rooms, budget and information needed to update the home. DME collaborates with users to select appropriate design concepts and items, helps purchase them, and delivers directly to the vacation rental. Users are also welcome to use this for their own homes, and DME can update homes similar to homes found elsewhere. For an added bonus, the entire process – no matter the size – is managed by a professional interior designer who guides users through each step. After the home is updated, users receive a high-quality video to share on a website, social media, enewsletters and other marketing avenues. DME sends the marketing video to the vacation rental management company, so they can share with homeowners and show their interior design custom application and service. Design Made Easy started in 2016, but the company has quickly made a name for itself, as it offers a unique and efficient solution to update homes. The company has been featured by vrmintel.com, lanereport.com, bizjournals.com and iTrip Vacations. Download 7 Free (and Clickable) Interior Design Tips from DME. Watch the video to learn more about the DME and iTrip Vacations partnership.